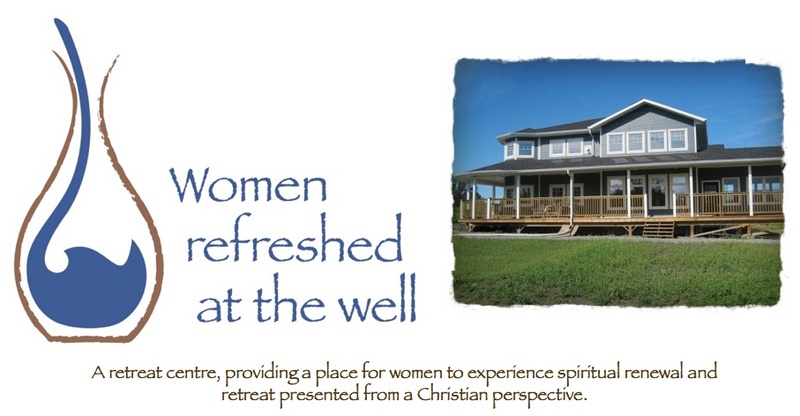 Women Refreshed at the Well: Long and overdue - A huge THANK-YOU! Today is Monday, September 21st ~ and this post is long overdue. The COME and GO ~ WALK and PRAY has happened. It was overwhelming ~ and I give God the glory for the whole event. The other day a good friend said that she could really feel the presence of God at the land. I totally agree. God was fully there! It was an amazing day. We didn’t totally think ahead, and didn’t leave enough time to fully prepare before the first cars began to arrive. Honestly, I don’t know what we would have done without family and good friends who came alongside ~ helping to bake (my daughter had her own little bake-off!!) and to set up, to prepare coffee and to help talk with people. You know who you are ~ thank you so much! Like I said, it had barely turned 3 pm and the cars began to arrive and people began to walk and pray. The land was “SOAKED IN PRAYER” during the full 2 hours of the event. I saw people walking around the perimeter of the land ~ not as far back as we go ~ but certainly a ways back. We had some hand-outs to give those who wanted to know what to pray for. Others just prayed as God gave them the thoughts. We had a campfire ~ stuff for smores ~ and lots of goodies, including a fair amount of chocolate. WOMEN AND CHOCOLATE = a must!! We thank God for each one of you ~ some of you are old friends, some of you were totally brand new on that day! We thank God for each and every one of you. We are thankful for the prayers offered on our behalf and on behalf of the ministry. It was our desire to soak the land in prayer before we began to dig… thank you for coming!! Thank you for praying!! Thank you for your support. In the morning, there was a “thank-you” event at McIvor Ave. M.B. Church, as I have recently concluded my formal pastoral ministry at McIvor. The thank-you was overwhelming. As part of the thank-you, people were given the opportunity to give a financial “love-gift” to the ministry. With the party over – I walked into the church service blessed with about $500 in my purse. When I came out of the service, a couple gave me another cheque – and additional $200 more toward the ministry. The COME and GO ~ WALK and PRAY was not a “fund-raiser”. However during the course of the afternoon, an older couple gave Alvin a “bulging” brown envelope which he immediately hid in his truck. As we were pulling away, Alvin told me to look under something ~ there was the envelope. I found it, and opened it up, only to find a couple hundred dollar bills and a fistful of 20′s. Within that envelope, I counted $1000. I wept. So, this thank-you is long and overdue. A huge thank you to say THANKS for coming and blessing us with your presence and with your prayers. A huge thank you to those who could not come, but said you would pray. A huge thank you to those who helped make the event happen. A huge thank you to God, through whom all of the glory and praise goes!! He is fully in control We just continue to be the conduits through which He works. pray for the women who will come here for rest, refrehsment and renewal. We are excited about each one that will come and be our guests. Pray that epople will experience God in this place. pray for us as we figure out the financial aspects. The land, barn and home will be funded and owned by us personally. We will be working with an accountant to figure out how to carry out the ministry and the financial obligations. pray for the financial support of the ministry. We are a recognized non-profit organiation, and we are able to issue tax receipts. The money that is raised with help furnish the retreat portion of the house. pray for our neighbors. As we come into the neighborhood, please pray that we would be a shining light and that we would also get to know our neighbors in a positive light. We don’t want them to be afraid or skeptical of what we are going to be doing. Perhaps this will be a place of rest for them too. Thank you for your prayers!! Please feel free to email at womenrefreshed@gmail.com if you have any questions.